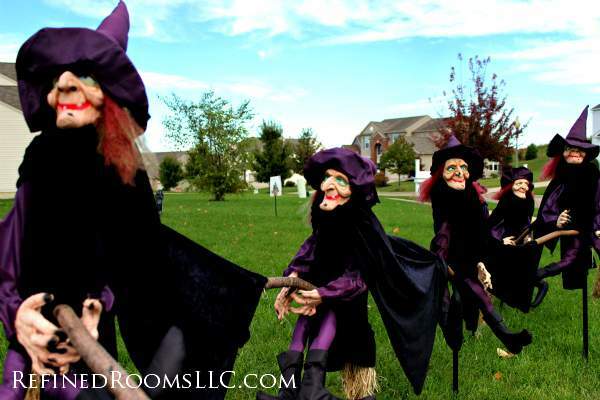 Don’t know about you, but I’m totally obsessed over Halloween…particularly the decorating part. 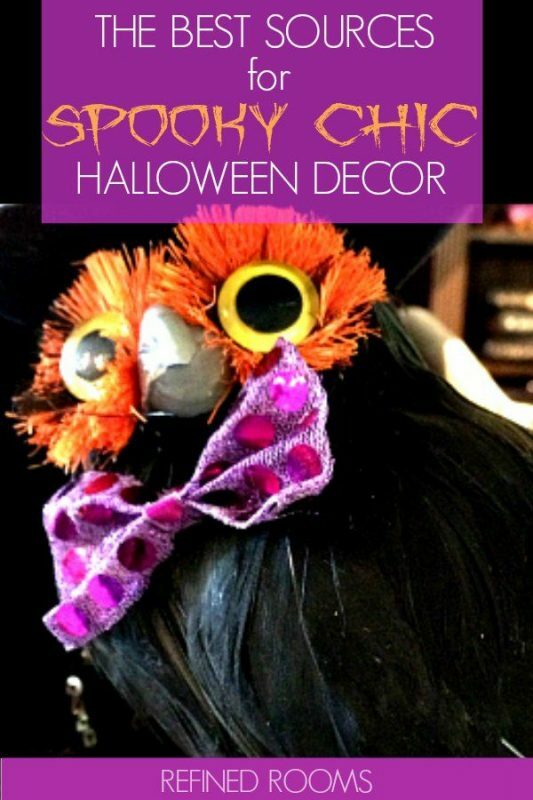 Today, I’m sharing my absolute favorite sources for affordable Halloween decor. It’s common knowledge that Christmas is typically the most celebrated and decorated of all holidays, but did you know that Halloween is now a close second? 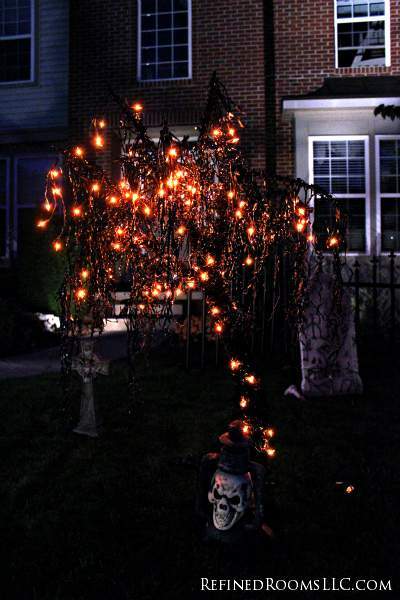 According to the National Retail Federations’ Halloween Spending Survey, Americans will spend a whopping $1.9 billion this season on life-size skeletons and witches, fake cob webs, and other ghoulish décor! I’m happy to know that I’m not alone in my obsession for Halloween décor. Anyone who knows me well can attest to the fact that I deck out my home for Halloween like the average person decorates for Christmas (if not more)! So you might say that I’m your Go To Girl when it comes to knowing where to source bats, skeletons, witches, and the like. As you’ve probably gathered by now, I’m not a fan of the gory, bloody, chainsaw-wielding or “scary clown” style of decorating. My style is more along the lines of Spooky Chic. 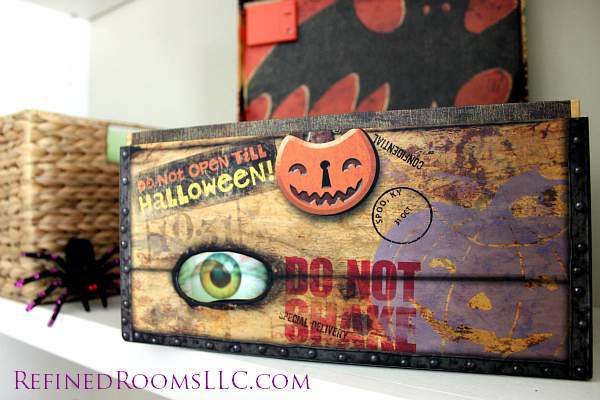 Some terrific online sources for spooky chic accessories include Pottery Barn, Home Decorators, Pier One & Michaels. I’m also been consistently wowed by what I find in the Halloween aisle at Target . Every once in awhile, you can also score at Hallmark, and shopping at Cracker Barrel while you wait to be seated for dinner! It probably comes as no surprise that Amazon is another favorite of mine when I’m on the hunt for deliciously haunting décor. Need a little inspiration to get you into the Halloween Spirit and excited to get your spooky décor on? Check out Grandin Road’s Halloween Haven “Entranced” video. mmmmmwwwwahahahahahahaha!! Are obsessed with Halloween? Then you’ll want to follow my Haunted Halloween board over on Pinterest and please Share YOUR favorite resources for spooky decor in the comments below! 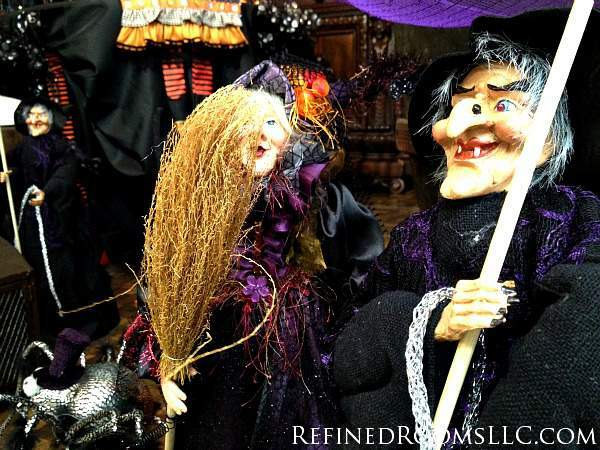 Follow Refined Rooms ‘s board Halloween Haunting on Pinterest.